The next problem was that this virtual serial example was based around a seperate usb joystick example. This joystick example would read input from certain pins and send a certain string over usb. The problem was that this example doesn’t work with the atmega16u2 because it uses PORTE all over the place in its code and the 16u2 doesn’t have a PORTE. The compiler was not happy and since this problem was spread over several include files I decided to just remove all joystick related code and just have the virtual serial send over a string on a loop (“testing123” in case you were wondering). 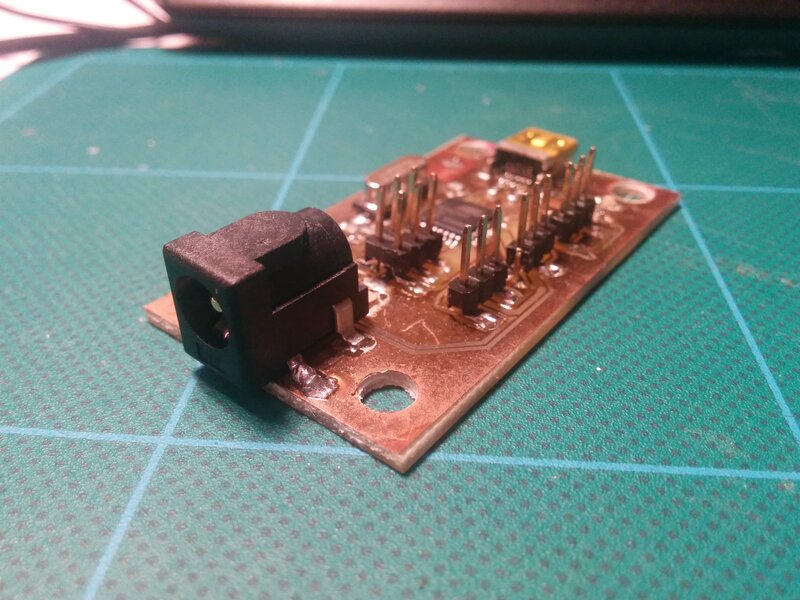 After all of the joystick butchering the example finally compiled – I plugged in the board and it was recognised as a usb device. It turns out that for the VirtualSerial to work in windows you have to install drivers for it. the driver file is in the VirtualSerial example folder of the lufa library. After installing the driver everything was hunky dory, I used putty to check the serial data coming in. So it’s a big thumbs up for the LUFA library – it’s nice have just a chip and a usb port on a PCB and having it send serial data to a computer! The PCB schematic and board files as well as the modified VirtualSerial example (joystick-less) is all available for download here. 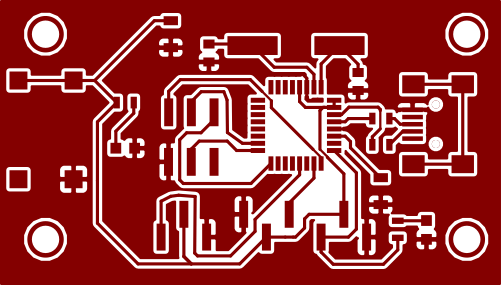 The PCB was designed in KiCad. 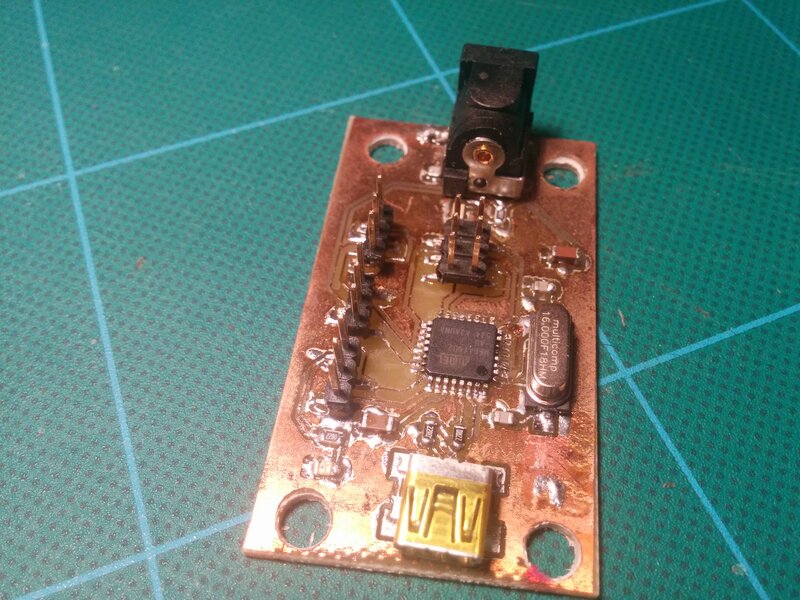 This entry was posted in Atmel, Hardware, Microcontrollers, PCBs and tagged lufa, pcb, usb. Bookmark the permalink.